ThinkWork is the hub for an array of programs related to employment for people with IDD at the Institute for Community Inclusion at the University of Massachusetts Boston. Browse the different programs below. The goal of the Rehabilitation Research & Training Center on Advancing Employment for Individuals with IDD is to identify strategies to support state agencies, providers, advocates, individuals and families to make the philosophy of Employment First a reality. Partners on the project include APSE, Self-Advocates Becoming Empowered, the National Association of State Directors of DD Services, the Arc of the U.S., and the Research and Training Center on Community Living at the University of Minnesota. The project is funded by the National Institute on Disability, Independent Living and Rehabilitation Research (NIDILRR). The State Employment Leadership Network (SELN) brings together state developmental disability agencies for sharing, educating and providing guidance on practices and policies around employment to its members. The SELN was launched in 2006 as a joint program of the National Association of State Directors of Developmental Disabilities Services (NASDDDS) and the Institute for Community Inclusion (IC) at the University of Massachusetts Boston. Since 1988, Access to Integrated Employment has described trends in day and employment services and outcomes for individuals with intellectual and developmental disabilities (IDD). This research project explores the factors that contribute to employment outcomes at multiple levels: individual achievement, employment support practices, service provider engagement, and state policy reform. StateData.info promotes Employment First and systems change efforts nationwide by supporting outcome-based management and planning. The site includes data from state intellectual and developmental disability agencies, and vocational rehabilitation outcomes and services from the Rehabilitation Services Administration. It also features data from the Social Security Administration, state mental health agencies, the U.S. Census, and the U.S. Department of Labor. Users can select what type of analysis they want to conduct through chart generation tools. In addition, StateData.info offers publications that analyze critical issues in the area of employment of people with disabilities. Since 2011, the Institute for Community Inclusion (ICI) and the National Association of State Directors of Developmental Disabilities Services (NASDDDS) have partnered to help the Florida Developmental Disabilities Council (FDDC) understand national Employment First efforts and to develop an Employment First initiative in the state. Staff from the EmployME1st Project: support Florida’s Employment First Collaborative Team to implement an interagency cooperative agreement; facilitate the development of local-level collaborative teams; share information through the Employment First Grassroots Group, website, and newsletter; and support self-advocates to become involved in the state’s Employment First efforts. 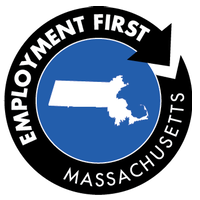 The Employment First MA Coordinating Center is funded by the Massachusetts Department of Development Services (DDS) to provide training and technical assistance to support the implementation of the Blueprint for Success: Employing Individuals with Intellectual Disabilities in Massachusetts, a collaborative systems change initiative to increase integrated employment opportunities for individuals served by the Department. In partnership with DDS, the Institute for Community Inclusion (ICI) provides training and technical assistance for providers, works with the state’s self-advocacy organization to support the Explore, Prepare, Act peer-to-peer training initiative, and provides support and consultation to DDS on a range of policy and practice issues in the area of employment and community-based day services. An e-newsletter also provide a range of stakeholders with access to information, tools and resources. Partnerships in Employment is a national transition systems change project whose purpose is to identify, develop, and promote policies and practices to improve transition, post-secondary and competitive employment outcomes for individuals with intellectual and developmental disabilities. Eight states, Alaska, California, Iowa, Mississippi, Missouri, New York, Tennessee and Wisconsin are involved in the Partnerships initiative. They are intricately involved with their state education, vocational rehabilitation and developmental disabilities agencies, individuals with intellectual disabilities, families, educators, and service providers to affect changes within and across state systems. The Institute for Community Inclusion (ICI) and the National Association of State Directors of Developmental Disabilities Services (NASDDDS) are partners in operating the Technical Assistance Center for the Partnerships Project. ICI’s Community Life Engagement initiative involves conducting research on Community Life Engagement in the Employment First context and developing guidance for states and service providers. This work is funded by the National Institute for Disability Independent Living and Rehabilitation Research Field Initiated Program and by the Administration on Intellectual and Developmental Disabilities as part of the Access to Integrated Employment project. The Employment Learning Community (ELC) assists states in improving systems and services to increase inclusive, competitive employment for individuals with intellectual and developmental disabilities (IDD). This is done through collaboration with a Delphi panel of experts, communities of practice, and technical assistance. This project is funded by the Administration on Intellectual and Developmental Disabilities. This site highlights the employment successes of people with Intellectual and Developmental Disabilities (IDD) who are working in paid jobs in their communities. Through the use of innovative, front-line employment support practices, these individuals are earning money, forming networks, and contributing to their communities. Learn more about these people and the promising practices that led to their success.